This article, called “Waiting for the Second Marshmallow,” has some awesome points that made me feel a little bit better about when I feel like my willpower is gone! It says, “Willpower is the ability to delay immediate gratification in the name of long-term goals. Think of it as self-regulation- more simply, resisting temptation.” It talks about how each of us have a limited amount of willpower each day, and compared it to a bank account. This makes so much sense. When is the time do you feel like your willpower is at its weakest? For me, it’s at night and when I’m tired. According to the article this is normal because by the time the day is at an end, we have probably used up all of our willpower. We just don’t have any left in the tank to resist temptation anymore! First- when we think of willpower, we usually think of being strong enough to stay no to desserts, or unhealthy foods. But, there is a lot more to it than that. The article gave some of the following examples: going to the gym when you really want to sleep in, not taking a gym selfie even though the lighting is perfect (I laughed a little too hard at this one :), not texting while driving, and cleaning up the house instead of watching TV. So, let’s talk about saving up your willpower bank by planning what you can the night before. By making a lot of little decisions before the day begins, you can start your day off with a little more in your “willpower bank account.” Here are some ideas of what you can do: decide what you are going to wear, if you going to the gym or going to sleep in, decide on meals. If you are going out to lunch and know where, look at the menu and decide what you are going to order so when you get there, you are not tempted by the unhealthy stuff. Researchers believe we can build up our willpower like a muscle. It’s pretty easy to do too! Just “choose a low-risk task before bed and commit to it for 30 days.” The examples from the article include flossing, journaling, and doing the dishes. If you consistently do this task each night, your task not only builds your willpower, but becomes a habit and then you can pick a new task! Have you noticed if your willpower is lower when you are tired? (Raising hand!) Mine is almost non-existent if I am super tired. So, by getting enough sleep, our willpower is stronger. There are a lot of other ways to help us with our willpower including: positive thinking, avoiding temptation, and distraction (This is where the title of the article came from. A 1970 study found that children who had a marshmallow placed in front of them and were told they would get another if they didn’t eat the first one until told, were most successful when they distracted themselves). Meditation and exercise are also great helps at boosting willpower! And my favorite one- imaginary eating! Yes, if you want a dessert, but really want to resist it, imagine yourself eating it! There was a study that actually proved that this works in helping avoid temptation. I actually do a similar thing that may or may not work for you… I smell the food! It sounds a little crazy, but it works most of the time for me! My favorite thing to smell is chocolate. Honestly, when I smell it and then do give in and eat it, it does not taste as good as it smells or as good as I imagine it is going to taste. Therefore, it is getting easier to just smell it and not eat it. It’s a win-win! The article was awesome and informative. It was very encouraging to me and gave me a boost of confidence in myself and my own willpower! Check it out! and let me know what you think. What other ideas/things do you do to help your willpower? This entry was posted in health, nutrition, weight on October 4, 2014 by admin. I recently ran a marathon. 26.2 miles. It was fun… mostly. This was my third marathon, but the last one I did was over 7 years ago! My dad has done all 3 with me and this one was his 16th or 17th! And, he has only been doing them for 9 years! How amazing is it that he became a marathoner at the age of 47? He’s my hero :). So, all of these tips are pretty much from him. He’s way more of an expert than me! We both learned a few things this race- as everyone probably does with each race. So, here are 10 tips for running a marathon that can really be applied to any race! 10. Make a list: I am a list maker. For everything! But, I did not make a list of all the stuff I needed to have ready the morning of the race. So, do you know what I did for about a week before the race? I had nightmares every single night! I wasn’t even really nervous about the race because I wanted to run it slow and just have fun. But, I worried every night about whether or not I had everything ready! So, a week or so before the race, make a list of every little single thing you think you might possibly need. Even if you are not traveling, I would still “pack” for the race. Just so you have everything ready to go. 9. Thrift Store: Most races I have done, the starting line is pretty cold. And, you are hanging around for an hour or more waiting for the race to start. Races usually provide bags that you can put your stuff in and then pick up at the finish line, which is great, but there are 2 cons to this. 1- You have to have the bag, with all your warm gear, in the truck at least 15 minutes prior to the race. 2- After the race you have to find you bag, or wait for someone to find it for you. So, I have learned, from my dad, to go the thrift store and buy warm gear that you can just take off as you get warm. This last race, I got a winter coat and some jogging pants. I had an old hoodie that I also wore, and the race provided us with cheap gloves. I took the coat and pants (get ones that you can easily slip over your shoes) off before the race. Then, I took the hoodie off at one of the first aid stations. The race company will just re-donate all your stuff! The people we usually do races with like to have a competition to see who can look the most ridiculous. It’s pretty fun! 8. No Cotton: I used to not think much about workout gear, but over my running and workout years have come to realize how important gear can be! One of my biggest suggestions, especially with long distances, is NO COTTON! Not even and especially cotton socks. I only got a tiny tiny blister on one of my toes this race, which is pretty darn good for a marathon. I also did not chafe at all, anywhere. I attribute this to the lack of cotton in my attire. 7. Equipment: Running long distances often times requires a lot of “stuff.” Just make sure whatever stuff you are running with, is stuff you are used to running with. Don’t try out new things on race day. 6. Finish Line: Find out exactly where the finish line is and go see it if you can. My first 2 marathons, I had no idea where the finish line was. We passed the 26 mile mark, and the .2 miles to the finish line felt like forever!!!! This time, I figured out where it was, and at the end, I knew how much longer we had to go. It was SO much better! Now, for some people, this might not be best, everyone is different. 5. Fuel Properly: At aid stations, when you have the option of water or a sports drink, choose the sports drink. Your body is doing a lot of work, and water does not replenish everything that is lost. I get a cup of both and drink all of the sports drink, and then just a sip or two of water to wash it down. Also, take gu, or other food. Same as above, long distances require a lot from your body. You can start to break down glycogen stores, so it is best to stay ahead of that. If you feel thirsty, you are either already dehydrated, or have started into your glycogen stores, so drink as often as necessary. 4. Talk to Yourself: I do this a lot while I run, but during a marathon, especially at the end, I talk to myself a lot. My dad runs with me and we talk to each other the whole time, but I also have a conversation with myself. When it gets hard, you need to give yourself a little pep talk. “You trained for this, you are ready, you can do hard things.” Then, at the end tell yourself you are almost there! Tell yourself how amazing you are and how awesome of a thing you are about to accomplish! I love the quote above. It is great when you think you cannot possibly go any farther. 3. Have a Goal: Goals are a great thing to have. Now, just because you are running a marathon, does not mean your goal has to be a time! I did not have a time goal this last marathon. I had not trained properly, therefore, I knew setting a goal of a fast marathon would not be smart of me. So, I had the goal to run at a comfortable pace with my dad, and enjoy the fact the my body is healthy enough to run that far! So, whatever your goal may be, set one because accomplishing that goal will feel amazing! 2. Have Fun: Whatever goal you set, set another one to have fun! For most people, running races is not their job, it is a hobby! And hobbies are supposed to be fun, right? So, make sure you are enjoying yourself! 1. Be Nice to Yourself: Above all else, be nice to yourself. If you are having an “off” running day, you can’t really do much about that. Weather conditions are out of your control. So, if you aren’t doing as well as you thought you would, don’t stress about it! Be nice to yourself, and enjoy the race! This entry was posted in health, marathon, mom workout, Race, running on September 30, 2014 by admin. So, on Saturday I ran a Marathon! Originally, I was going to run this marathon last year and qualify for the Boston Marathon. Then, I made a bad decision, and ended up with a broken foot a few months before the race. I was determined to recover quickly and still run, but that did not happen. I lost a lot of muscle in my leg the 6 1/2 weeks I was on crutches. So, the race was postponed for a year. In April, I signed up for the marathon with the same goal as last year- qualify for Boston. For me to qualify, I would have to run a 3:35 marathon, which is really fast for me. Back track a few months… I ran a half-marathon in March and had some major stomach issues afterwards. I could not even function for the rest of the day, and probably should have gone to the hospital to get an IV because I am sure I was incredibly dehydrated. So, I began training for the Big Cottonwood Marathon. I continued to have really bad stomach aches every time I ran more than 6-7 miles. It was getting to the point that running long distances was no longer fun and I dreaded the rest of the day after a run. I ran the Spartan Beast at the end of June with my husband. I loved every minute of the race! But, once again, my stomach hurt for the rest of the day. I think it was at this point I decided not to run the marathon. I did not want to deal with these stomach problems while putting in so many miles. Plus, I was enjoying my other workouts, like weightlifting and crossfit, way more than running. I was really stressing out about the marathon. My husband reminded me that all of this is a hobby! I don’t have to run! Sure, it is a great way to exercise, but if I am doing other things to stay in shape that I am enjoying more, than why not just do that?! Duh! He was so right! So, I stopped running! I did not run for a couple of weeks, then slowly started getting back into it. Just when I felt like it, and for however far I felt like going. I liked running again!!! And just like that, the marathon was back in my plans! However, my goals had completely changed! I no longer had ANY desire to qualify for Boston. I just wanted to run a beautiful course with the best dad in the world at a pace that we both felt comfortable with! The race started at Brighton Ski Resort and went down Big Cottonwood Canyon. It was really cold at the starting line, and it didn’t help that the race started 30 minutes late! It was cold, but my mom had driven my dad up from the other side of the mountain, so we were able to get warmed up in the car for a few minutes! She’s such a great wife and mother! I love running downhill, so this race was perfect for me! There were only a couple of spots that were a little steeper than was comfortable. The first 15 or so miles were coming down the canyon and we probably averaged a 7:30 pace. Our fastest mile was a 6:43! If you know how to run downhill, you can let gravity work for you. My lungs never felt like they were working hard at all for those first 15 miles! Then came the hard part of the race. The next 8ish miles were an out and back on a fairly flat road. It felt uphill both ways. I really did not like this section of the race! Like, really, really did not like it! So much so that one of our miles was over 11 minutes! My calves were starting to burn and my dad kind of cramped up a little bit, which has never happened to him in his 16 other marathons! Once we got past the out and back, we went up a little hill, then it was downhill for the last 4 miles! I felt strong and energized for the last part! In my other 2 marathons, my dad had to literally help me across the finish line. So, I was so happy to cross the finish like with a smile on my face and carrying my own weight! A few minutes after we crossed the finish line, I completely lost it! There is something about running with my dad and pushing myself to my physical limits, that just gets me emotional. I am so grateful for my dad. I am also grateful for my body, that it lets me do things like this. I know it is a blessing and I will never take my body for granted. I am also grateful for my extremely supportive husband. He may think I’m a little crazy, but he loves that about me ( I think :). And, I’m so grateful for my 2 little boys who are proud of their mommy and totally understanding that I missed a soccer game to run this race. My stomach did hurt really bad for a few hours after the race, but nearly as bad as it did after my half-marathon. So, I am not sure what my running future will be. I am going to try and figure out what is going on because it seems so random! Anyone have similar issues or advice on this?!? This entry was posted in health, marathon, mom workout, Race, running on September 18, 2014 by admin. I think one of my favorite running workouts is speed work. It is fun to push yourself and then have a little recovery before you push yourself again. I really think it also makes me become a faster runner. It is also a great calorie burner! Roll on mobility ball. Find it HERE. This is my favorite way to warm-up and loosen my muscles. Then stretch for about 10 minutes. I am a mom of 2 amazing little boys (5 and 2). It is a busy life we have and finding time to workout can be hard. I get it! But, because I take that time for myself everyday to workout, I have more energy and a better mom for the other 23 hours of the day. My kids know that I need that time to exercise and respect it. Plus, I am setting an example of how important being healthy and active is for them! If you are having a hard time getting motivated or finding the time to workout, I have some ideas that might help you! This is what I currently do. My kids and I wake-up, get dressed, have breakfast and then go to “kids club”. It is working out so well for us right now. The “teachers” at Kids Club are so great with my kids and since we go everyday, my kids now have lots of little friends from there. Another reason I love this is because I stay home with my kids, so this is a good time for them to be around other kids! If you are thinking about going this route, go check out the gym and the daycare and make sure you feel good about it. I was so nervous about taking my little guys somewhere. I asked a million questions and they were great about answering them. Another thing that is great for stay at home moms is a swap. I did this when my oldest was a baby. Once or twice a week, my friend and I would take turns watching each others kids so the other one could workout. It was perfect for that time in my life! Whether you run or walk, these strollers are so easy to push! I never bought a regular stroller, I just used my BOB for everything! There are a lot of other great jogging strollers out there, just google it and find one that is right for you. I often run (or try to run when I am pushing the double-whew- it’s heavy) to the park to let the kids play, and then run home. While they are playing you could even do some body weight exercises like push-ups, planks, squats, lunges, and sit-ups. Or use those monkey bars to do pull-ups and some climbing! Your kids will love seeing you play on the playground! 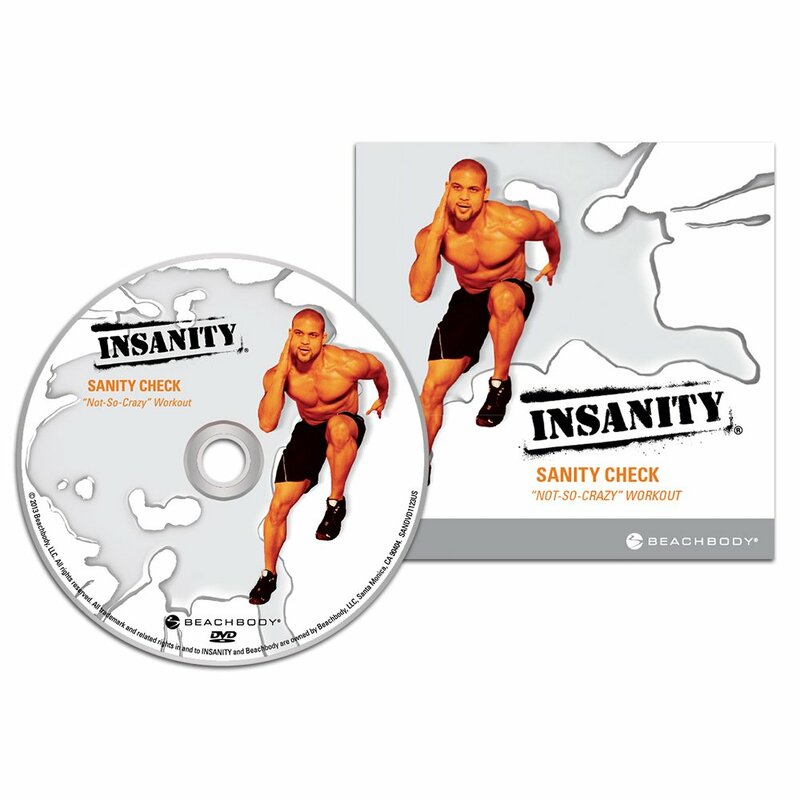 There is no equipment needed and it is fun and HARD!!! I did the whole program right after my first child turned one and got more toned abs than before I had a baby! (I also followed the nutrition part). Another one I’ve done is P90X. 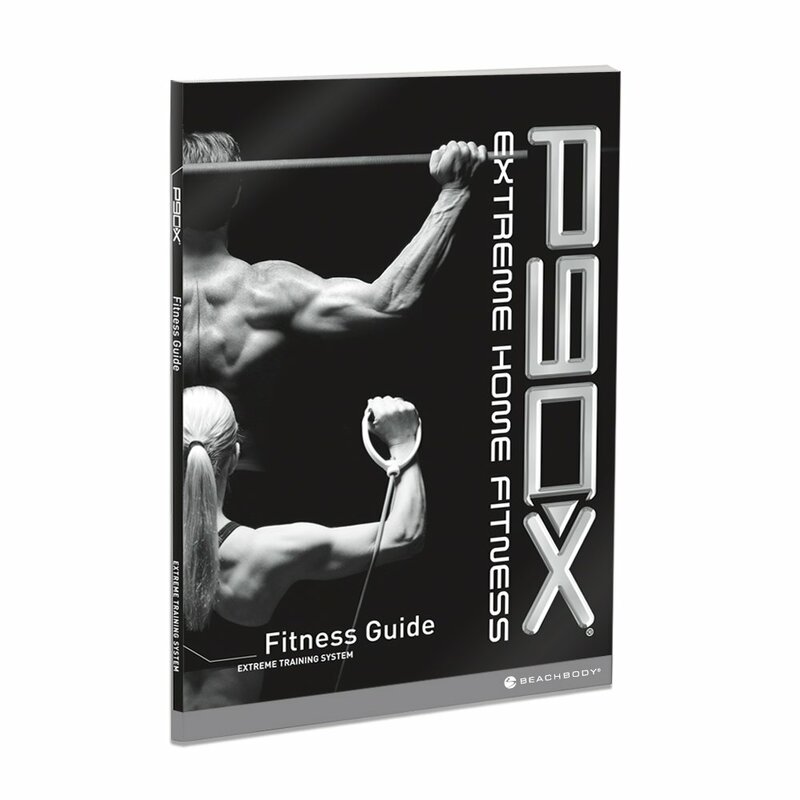 http://www.amazon.com/P90X-DVD-Workout-Base-Kit/dp/B000TG8D6I/ref=sr_1_1?ie=UTF8&qid=1409005968&sr=8-1&keywords=p90x+dvd+set This requires a little more equipment and time, but it is a great workout! We have all heard this one! Find someone to workout with! When you are held accountable, you are more likely to do it. Any of the above ideas can be done with a friend. Have a playdate with your kids and a workout date with a friend! Multi-tasking at its finest! Most importantly, you have to decide that health and fitness are a priority. Set aside a certain time everyday to do it! I never schedule anything until after my workout (unless it is out of my control, like a wedding). I am worth it. It is my time for me. You are worth it too. Do it for yourself, and for your kids. Make it a priority! What do you do to find time to workout? I’d love to hear other tips and tricks for those moms who workout!